There are many skin care products made with natural ingredients that are not only good for your skin but are safe and affordable as well. For those with skin sensitivities or allergies or those concerned about animal testing or chemical additives, natural products may be for you. Products labeled with the Natural Seal from the Natural Products Association (NPA) are guaranteed to be natural and safe for the environment. "Natural products are increasingly preferred by people looking for healthier options," said Cara Welch, Ph.D., senior vice president of scientific and regulatory affairs at the NPA. She adds, "The Natural Seal helps shoppers find natural products that meet a certain standard." Burt's Bees creates natural products for the hair, face, eye area, body, and teeth, as well as a baby care line. 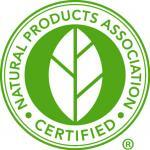 All items are certified by the Natural Product Association and carry the Natural Seal. Their skin care line features lotions and moisturizers that contain natural ingredients such as milk and honey, shea butter, vitamin E and aloe vera. Burt's Bees is also well-known for their moisturizing lip products such as balms and treatments. The lip care line is made with all natural beeswax and other nourishing ingredients. Ingredients include shea butter, coconut oil, beeswax, sunflower seed oil, soybean oil and rosemary leaf extract. These ingredients are all natural and will smooth and soften your lips. Review: I tried the Tinted Lip Balm in Rose and loved how soft it made my lips. It gave me a hint of color - but nothing too dramatic - making it ideal for daily use. I also loved that the balm did not feel waxy and went on smooth. Many other lip balms that I have tried are rough on the lips and can make applying to dry lips painful. This is not the case with this formula. I carry this lip balm with me in my coat pocket and pull it out whenever my lips feel dry or if I need a bit of color. I am not the only one who rates this product highly; it was selected as the most natural-looking lip balm by The NAURALish blog. Purchasing: Burt's Bees skin care line can be found at stores like Walgreens and CVS. Since 1868, J.R. Watkins has been making natural products using the finest ingredients. The brand features skin care products that are good for the skin and contain natural scents such as lemon, cinnamon and vanilla. 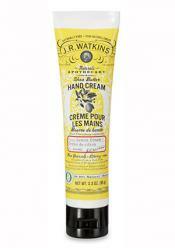 Review: I tried the J.R. Watkins Naturals Apothecary Shea Butter Hand Cream. This product is free of dyes, parabens, phtalate and propylene glycol. It is 98.9 percent natural. It has a lemon cream scent that smells great and moisturizes dry skin. Claire's Beauty blog listed it as one of the best creams due to the ingredients, texture and indulgent scent of lemons - and I agree. This hand cream sits beside my bed and quickly became one of my favorite products. I use it every night on my hands and cuticles and wake up with super soft skin. I am addicted to the lemon scent and can't get enough of it. I also have used it on dry elbows and the heels of my feet and was pleased with how well it worked. Purchasing: J.R. Watkins products can be purchased at retailers such as Target. Aubrey designs all-natural skin, hair and body care products. Their line of skin essentials is made for all skin types and from clinically proven ingredients. You can find skin care products in formulas that will clarify, calm, revitalize as well as defy age. Review: I was sent a sample of Aubrey Collagen Restorative Moisturizer. This moisturizer is ideal for all skin types and is made from 100 percent natural ingredients that moisturize, firm and smooth the skin. I have been using the moisturizer daily and notice that my skin looks great. During the winter months, my face gets dry and this moisturizer adds hydration and softness to my skin without causing me any irritation. For the summer, I would add a separate sunscreen for added protection. I also like that this moisturizer does not burn or tingle my skin if I apply it after cleansing. I have sensitive skin and some moisturizers that I have tried have irritated my skin and have caused redness - but not this one. This moisturizer rejuvenates skin and has a light herbal scent. Many reviewers on Smart Skin Care give the product line excellent reviews due to the 100 percent purity factor and product benefits such as cleansing and moisturizing. Purchasing: Aubrey skin care can be found at VitaCost.com, Swanson Health Care and local health food stores. Sow Good is a line that features hair, body and skin care products as well as fragrances. Products in the line are available for women, men and babies. Sow Good products are made in the USA and are all natural and certified by the NPA. They are free from ingredients such as sulfates, artificial colors, gluten and petroleum. They are not tested on animals and are biodegradable. Review: I tried the Generosity fragrance and shower gel. The shower gel was gentle to the skin and moisturizing. It had a light scent and made me feel refreshed. I like the fresh scent of Generosity and spray it on whenever I need a quick pick me up. It is ideal to wear during the day and will not overwhelm if used with a lotion or body wash. 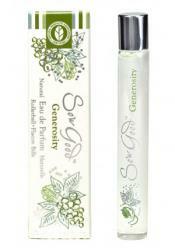 This all-natural fragrance is gentle to the skin and does not contain any harmful ingredients. It does contain essential oils such as cedarwood, clove, clary sage and tea tree. Purchasing: Sow Good products can be found at retailers such as Amazon.com and directly from Sow Good's website. Whether you shop online or in a store, try to find out as much as you can about the company you are buying from and the ingredients in any product you are considering before you make your final purchase. Finding a product with the Natural Seal is a sure way to know that the product is all natural, but that is not the only option. Ingredients should be clearly listed on the label or the product insert. Welch states that consumers should always "review the ingredients listed on the label to ensure you are purchasing a natural product." She mentions that one hint you can use when shopping for natural products is to always "look for food-based ingredients." In addition, always read labels. The label should clearly state that no animal testing is used and that the product is all natural. Key words used on labels include 'no animal testing' and 'all natural ingredients'. If you also want to use organic products, look for the phrase 'certified organic' on labels. Build a brand relationship: Contact the company that sells the products you're interested in purchasing, and familiarize yourself with their line, as well as the company's goals and mission. Do your research: Visit the company website and read consumer reviews to learn more about the products you plan to purchase. Natural skin care can be a big part of your skin care regimen and may also help the environment. You can purchase a number of products that contain natural oils and botanicals. If you prefer you can also make your own products using items from your pantry and fridge. Either way, you can have fun experimenting with different items to find the ones that work best for your specific skin care needs.